A man rides a bike during National Bike to Work Week on Tuesday in Congress Square in Portland. A cyclist zips through traffic during National Bike to Work Week on Tuesday on Congress Street in Portland. A cyclist rides by several bikes chained to a tree during National Bike to Work Week on Tuesday in Portland. FORT KENT, Maine — Maine is a pretty good place to be a cyclist, according to the League of American Bicyclists, which ranked the state second in New England and 15th nationally in its annual bicycle state friendly report released this week. The release coincides with National Bike to Work Week, which is May 11-15. While Maine did drop two points from the 13th spot last year, the ranking reflects statewide efforts to promote bicycling related legislation, policies, programs and enforcement, according to Maine’s report card. 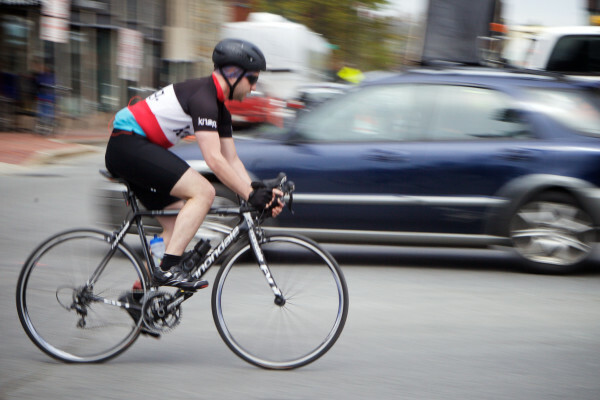 Maine scored 46 out of 100 possible points based on a questionnaire filled out last August by staff at the Bicycle Coalition of Maine and the Maine Department of Transportation, Allenby said. The survey asks comprehensive questions in five categories — legislation and enforcement, policies and programs, infrastructure and funding, education and encouragement, and evaluation and planning. Allenby said the rankings provide some useful information and feedback to states on how they can improve conditions for cyclists. But overall, he said, the report should be taken with a grain of salt. Around the region, Massachusetts ranked fourth, Vermont ranked 17th, Connecticut ranked 22nd and New Hampshire ranked 27th. Washington took the top spot for the seventh year in a row, and Alabama remained in last place for the second year in a row. Allenby said one issue affecting states’ rankings is that the national cycling league changes its ratings’ criteria from year to year. Those changes, he said, are reflected in Maine’s fluctuation from the second and third spots in the rankings between 2009 and 2011 to ninth in 2012 and 13th the past two years. In urban areas such as Portland, Bangor and Lewiston-Auburn, bike lanes make sense, Allenby said. But for smaller communities in more rural areas, they are not financial or practical realities. Maine was not alone in dropping a few points this year thanks to the emphasis on new infrastructure, Allenby said. Allenby is pleased with Maine’s high rank in legislative activity and points to LD 1301, An Act To Improve the Safety of Vulnerable Users in Traffic and To Clarify the Responsibilities of Bicyclists and Pedestrians, as an example of cyclists and legislators working together. Allenby said LD 1301, which is sponsored by Sen. Amy Volk, R-Scarborough, would give legal status to anyone on the road not in a vehicle and provide tougher penalties for drivers of vehicles who hit cyclists or pedestrians. Separate legislation making its way through the Legislature that would make it illegal to use a mobile phone while driving if it is not connected by a “hands free” device also would boost Maine’s ranking, according to the national cycling league. In addition, the league recommends Maine develop cooperative programming with police to improve bicycling safety laws, adopt measures to reduce bicycling fatalities, require designated bike parking areas at state buildings and parks, and encourage integrating bike transportation needs into all state transportation decisions. 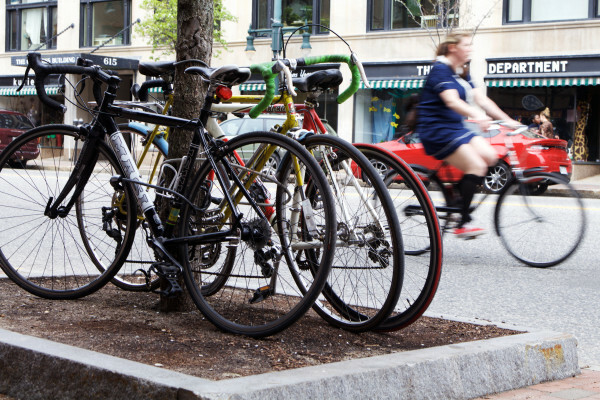 Maine was lauded for having an active bicycle advocacy organization, running a successful “Share the Road” campaign, emphasizing bicycle safety in highway planning and having a “safe passing” law. Cycling can be tough in Maine where the winters are long and lengthy commutes in rural areas make biking to work impractical. There is no hard data on how many cyclists there are in Maine, but Allenby said the coalition lists 2,500 households as members, and there is plenty of anecdotal evidence that bicycling is growing in popularity around the state.